Protect your elbows with the Joint VPD 2.0 Elbow Pads, some of the most advanced pads out there. Swedish brand POC is renowned for their safety gear and it's not hard to see why. These elbow pads provide excellent protection and are also designed to stay snugly and comfortably in place while riding. What really sets them apart is the use of Visco-Elastic Polymer Dough (VPD). This product, developed by POC for their body armor is very flexible and conforms to your body under normal circumstances, but when exposed to an impact it stiffens up, absorbing much of the force instead of passing it on to your body. As a result these pads have the best possible combination of flexibility and protection. Kevlar reinforced fabric also makes for a long lasting product. 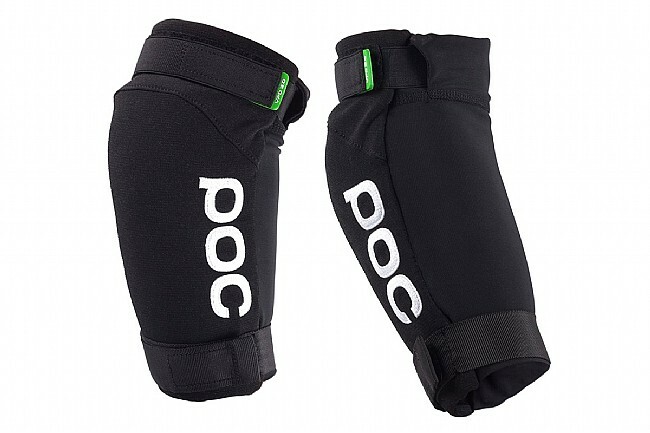 The Joint VPD 2.0 Elbow Pads are available in Uranium Black.